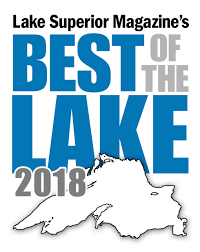 Copper Harbor is hidden in the far north against a backdrop of lakes, mountains and pristine forest. It is the home of numerous wildlife species.Whitetail Deer, Porcupine, Beaver, Red Squirrel, Flying Squirrel, Least and Eastern Chipmunks, American marten, Short-tailed weasel, Striped skunk, Fisher, River otter, Coyote, Bobcat, Snow-shoe hare, Red fox and Gray fox are just a few of the mammals you may see while in the area. Grey wolf and Cougar have been sighted but it’s rare indeed. Of all the wildlife species found in the north woods, the black bear is possibly the most photographed, sought after and misunderstood. 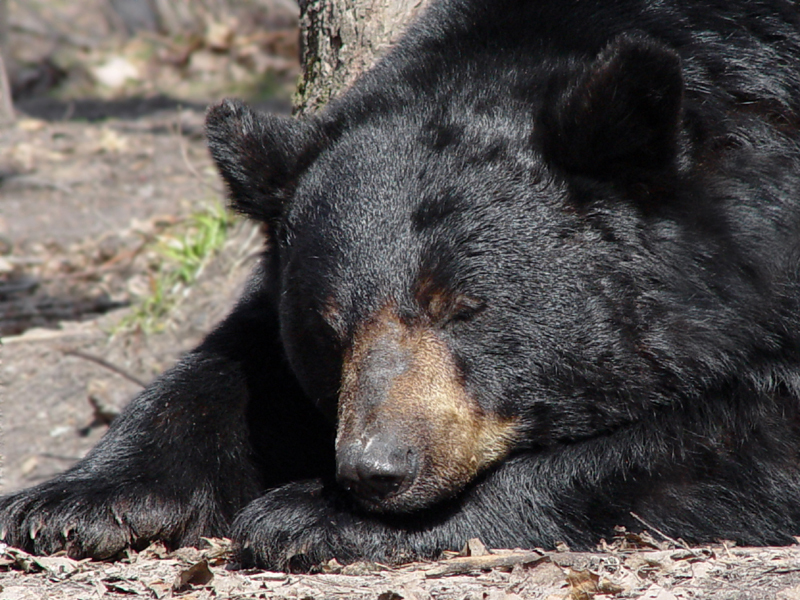 Seeing a black bear is one of the most memorable experiences of a visit to the Copper Harbor area. Bears are very intelligent and adept at surviving in relative close contact with humans. They have color vision, acute hearing and a keen sense of smell. They adapt quickly to their environment and tend to be solitary. Bears are fast runners, climb trees, swim, and are amazingly dexterous in breaking into cars and camps when tempted by food.Generally, visitors and backwoods campers have little to fear from bears. Their first instinct is to avoid contact with humans. Confrontations usually occur when getting between a sow and her cubs or a chance meeting while berry picking along a back road. Loud noise and an unobstructed path of escape are usually all a bear requires to depart. The cedar swamps and ponds host many amphibians; American toad, Green frog, Wood frog and Mink frog just to name a few. One harbinger of spring many look forward to each year is the chorus of the Spring peepers making their presence known to all. Common butterflies to the area are Eastern Tiger Swallowtail, Milbert’s Tortoise Shell, Painted Lady, Mourning Cloak, White Admiral and Red Admiral. 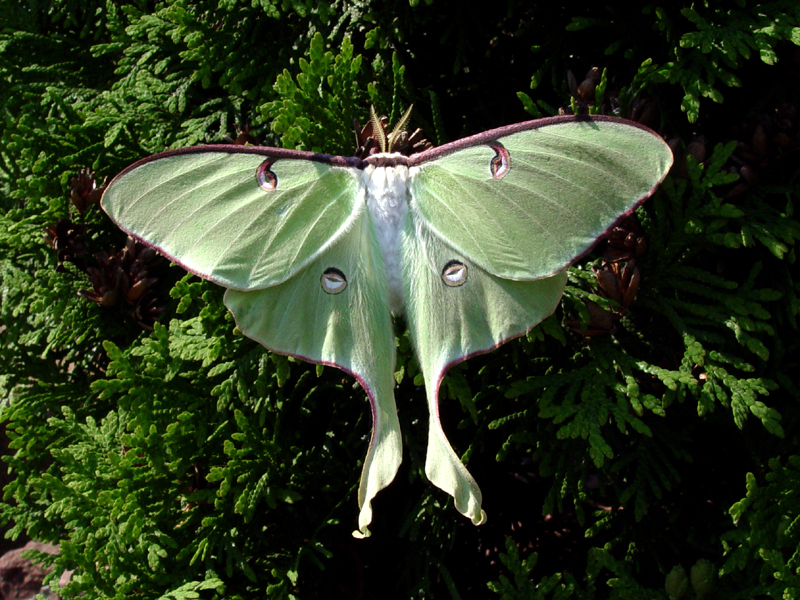 Some of the interesting moths you may see are Luna, Cecropia and Polyphemus. 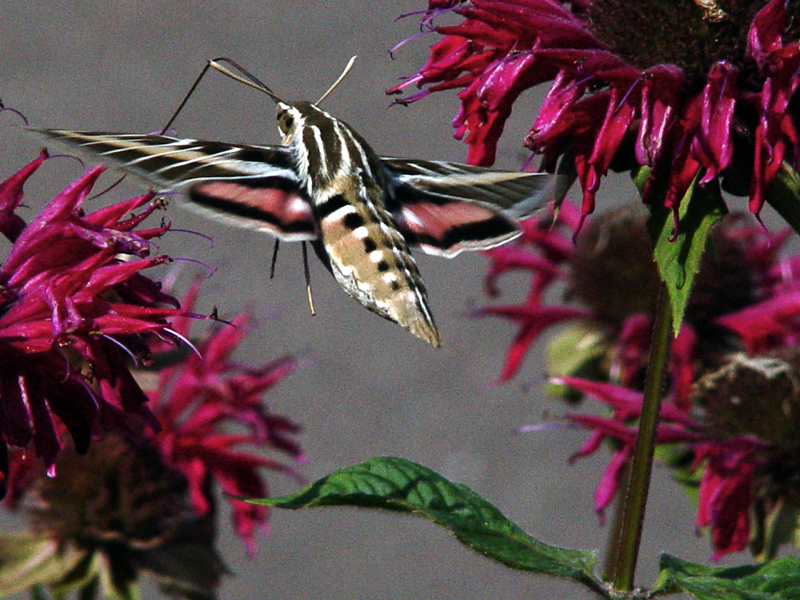 The White-lined Sphinx visits flowers around dusk. It hovers and flies forward and backwards with fast beating wings. It appears to be a hummingbird, until you look closely and see it’s antennae and 6 legs! Though there’s not as much wildlife to view during the winter months, there are some interesting changes that occur. There are some animals and birds that stick around, they just look different. Two of our local mammals experience a striking transformation turning from brown to white in the winter months – the Snow-shoe Hare and the Short-tailed weasel, called the Ermine in it’s white coat. The American Goldfinch turns from bright yellow with black markings to a pale, almost unrecognizable version of its summer self. 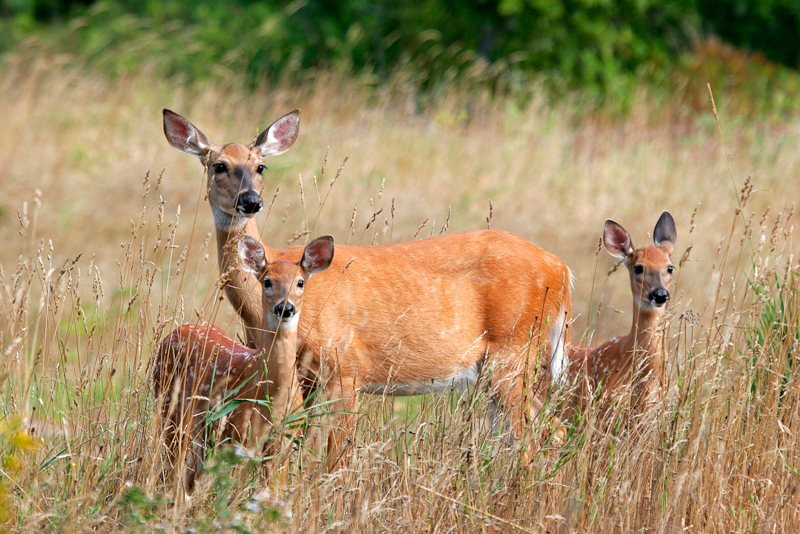 White-tailed deer trade their attractive smooth red fur for a thick, dull gray, winter coat.